Please note, we will only accept applications from users in Toronto, Canada. If you are comfortable in writing and singing electronic style or pop music, please apply. You may have some or a lot of experience with music, however you must have an online presence or vocal samples available online. 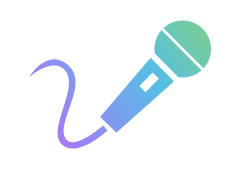 Versatile singer, please submit vocal samples and styles of music you are comfortable in singing.